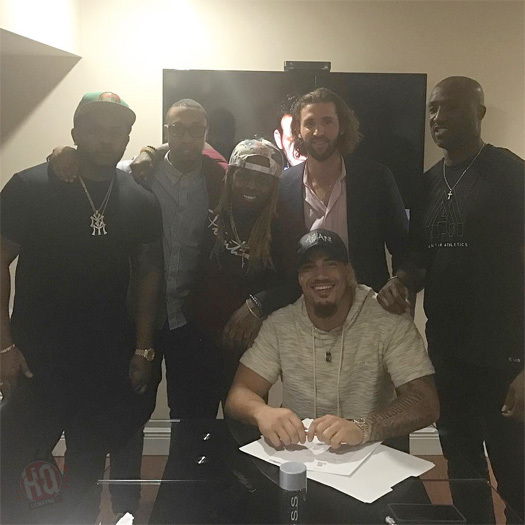 Young Money Sports is a sports agency that Lil Wayne set up in 2016, which will handle the marketing and branding of the athletes they sign. 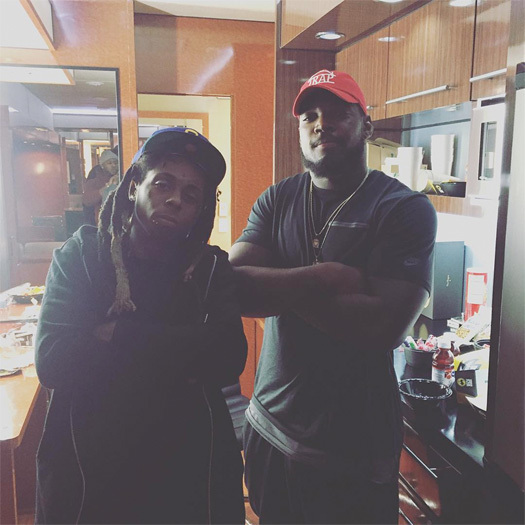 In an interview with DJ Drama, Wayne revealed he started up an agency so that he can help the kids he signs off the field and give them something to fall back on if their career on the field has to stop early for whatever reason that can be. 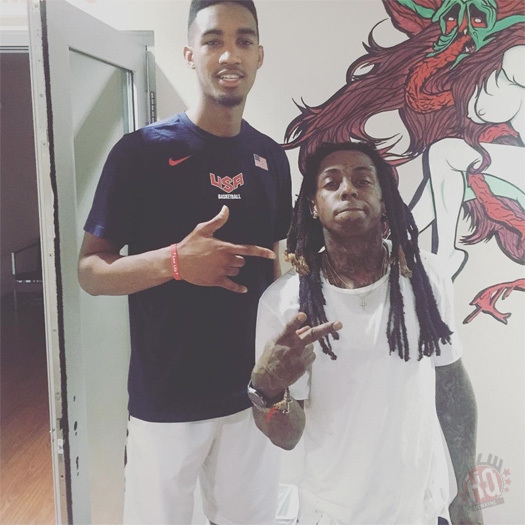 The first person Weezy signed to his YMS business venture was American football linebacker Reggie Northrup, the second person he signed was basketball player Terrance Ferguson, and the third person he signed was American football linebacker Duke Riley. Check out photos of Tunechi with his Young Money Sports athletes Reggie (above), as well as Terrance and Duke (below)!